White Chocolate Ganache is made with just a few simple ingredients. The flavor is clean but luscious. Use it to fill macarons, cakes, cookies or even cupcakes. Were you looking on how to make Dark Chocolate Ganache? Click right HERE for recipe. 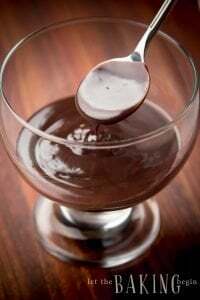 Ganache is a mixture of chocolate and cream that produces a smooth mixture which can be used to drizzle over cakes, or if you let it cool it can be shaped into truffles, or if you whip the ganache it can be used to fill or ice cakes. The main difference is, of course, the flavor. Other than that, the dark chocolate ganache is made with dark chocolate which has a higher content of cacao solids, while the white chocolate is made with cacao butter hence the absence of the dark chocolate color. White chocolate’s cacao butter content makes it a lot more temperamental and therefore harder to work with. If the white chocolate is overheated (more than 110F) it separates and renders it unusable. That’s why you always want to be careful not to overheat white chocolate when melting it. My favorite way to use this ganache is to fill macarons with it. 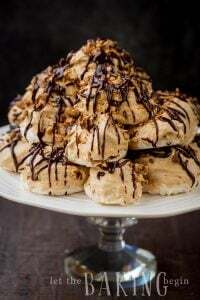 The ganache can be whipped for fluffier consistency, or used as is. This White Chocolate ganache filling is also great as filling or icing cakes. If you’re covering your cake with fondant, this icing is perfect to go beneath the fondant. The ganache mixture can also be used to make chocolate truffles. For this, you would allow the ganache to chill in order to harden, then shape the truffles into balls. The best way to be successful with this recipe is to use a scale to measure the ingredients. Using good quality chocolate chips also increases chances for success. I use Guittard brand of white chocolate chips as I like their flavor to cost ratio the best. The process is super simple – combine the cream with chocolate. Stir until smooth. Add melted or softened butter and whisk until smooth again. 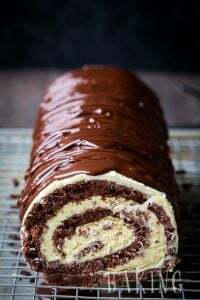 Allow the ganache to chill, then whip until fluffy. Wonder what Macaron Recipes can be used with this White Chocolate Ganache recipe? 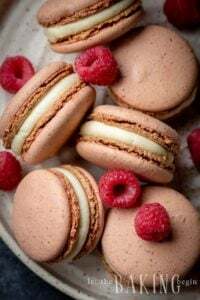 Basic Macarons (Italian Meringue Method) – my favorite macaron recipe, right here! 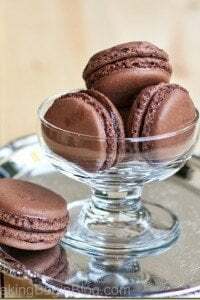 Chocolate Macarons – this truffle-like macaron would be lovely with the ganache frosting! In a medium size mixing bowl add 200 g white chocolate chips, then pour the heavy cream on top. Wiggle the bowl so that all chocolate chips are covered with heavy cream and let sit for 1 minute. Whisk the mixture until smooth. Then, add the melted butter and whisk again until combined. Refrigerate for at least 4-5 hours or until set. Remove from the refrigerator and allow to sit at room temperature for 1 hour. Then, whip until fluffy - about 1 minute or less. Do not over-whip, or the cream will separate. If the cream over-whips and starts to separate, heat it in the microwave for several seconds, then gently stir. Keep doing this, until the cream becomes smooth again. Then, whip again. I have used Guittards dark chocolate A peels to make ganache for under fondant. It worked well. Now I want to try white ganache. You say you use Guittards white chocolate chips. How about white chocolate A peels? Hi. Looks really tempting ! 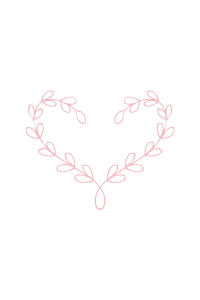 I’ve tried white Chocolate ganache without butter for frosting cake but it didn’t work out ! Is colored ganache for frosting cake same technique but adding gel food color . Is that the only change in your recipe ?